We all have students who struggle and require differentiated activities in order to access grade-level concepts, but how many of you put the same attention into differentiating for your stronger students? While often forgotten because they do well no matter what the activity, these students deserve the richest learning opportunities we can give them. 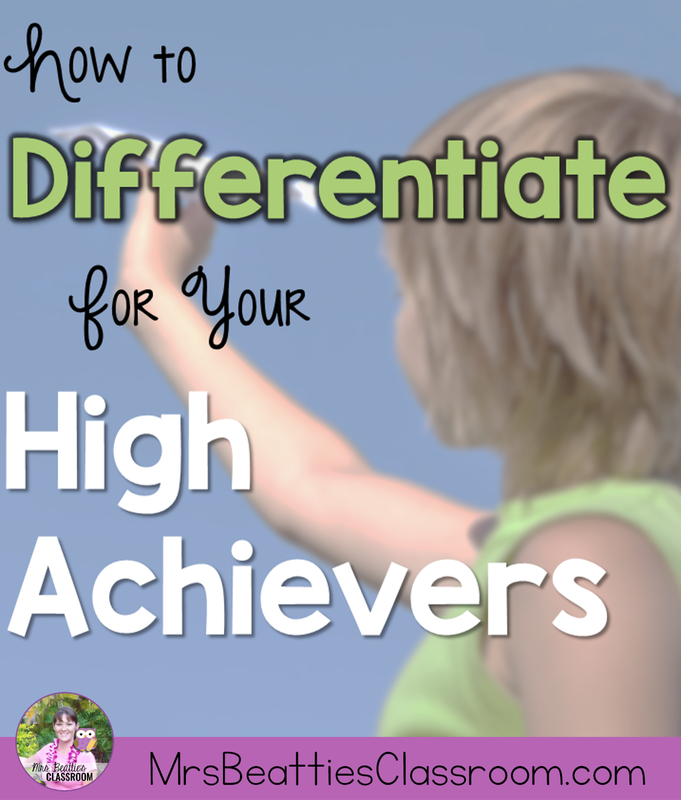 Today, I have some suggestions for how you can easily differentiate your class work to reach these high achievers! Challenging your stronger students can be as simple as changing the numbers in a mathematics problem or the word list in language arts. I've been teaching my students about place value in mathematics and finding that a couple of my students were completing classroom activities quickly and accurately. The natural next step for them was to work with larger numbers, so I gave them the same task as the other students only using larger numbers. When I was teaching fifth grade, I often had parents of my stronger students ask for "harder work". What they didn't understand was that a child experiencing success doesn't need to be using the 7th grade text book, he or she still needs to be accessing grade-level content. My explanation to parents was that their child needed to extend their responses. I expected more detail, more support, more description. The paragraphs and reports they were writing may have been on the same topic as their peers, but the structure of the final product was different. Now that I am teaching primary grades, my differentiation looks a little different. My students have vastly different abilities. During Daily 5 word work activities, all of my students are working with a list of words that is "just right" for them. I am expecting my students to use more of these words in their daily writing rather than always relying on the simple vocabulary that they are most comfortable with. 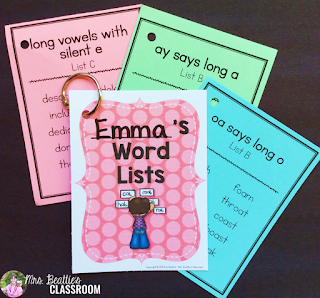 My Differentiated Word Lists are the perfect way to differentiate to reach all students! I know what some of you are thinking, but I'm serious! 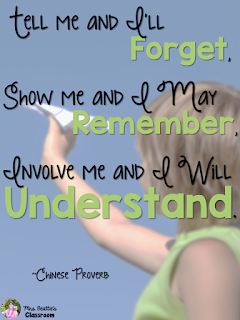 The best way to truly learn and retain information is to teach it to someone else. 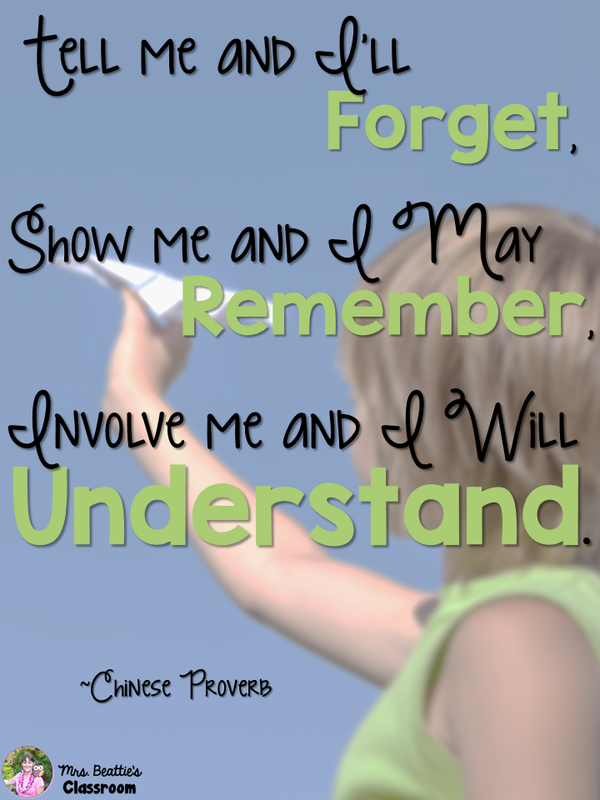 Children LOVE having the opportunity to take on the role of the teacher, so take advantage of that! Inquiry Is Where It's At! Teaching curriculum expectations using an inquiry model is the perfect way to engage your stronger students. Give them the option of having their curiosity and wonderings guide the learning and see where it takes them! There is nothing more rewarding for a teacher than seeing students truly invested in a learning activity. To have a 2nd grade student go home and research a country after seeing a great photo in our lesson is awesome! Providing your high achievers with open-ended prompts and activities is another great way to differentiate. Problems with only one solution are restrictive and do not always challenge the children the way open problems can. Your high-achieving students can still be working on the same concepts as the rest of the class, but their questions can be more difficult. Locate a self-evaluation activity to help your high achievers identify what their learning style is, then capitalize on this! 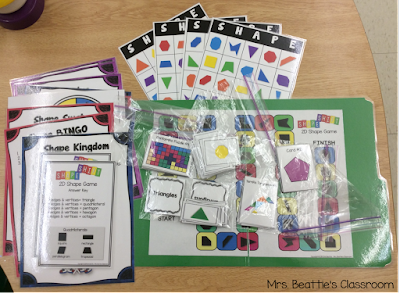 Provide activities and choices based on the student's learning style. Some students live, from a young age, to please the adults around them. Whether parent or teacher, the child does what these adults expect of them and more. I've seen children put incredible stress on themselves over tests and grades, wanting desperately to please me and their parents. Children need to be taught to push themselves for the satisfaction of learning, NOT the satisfaction of an A on the report card. 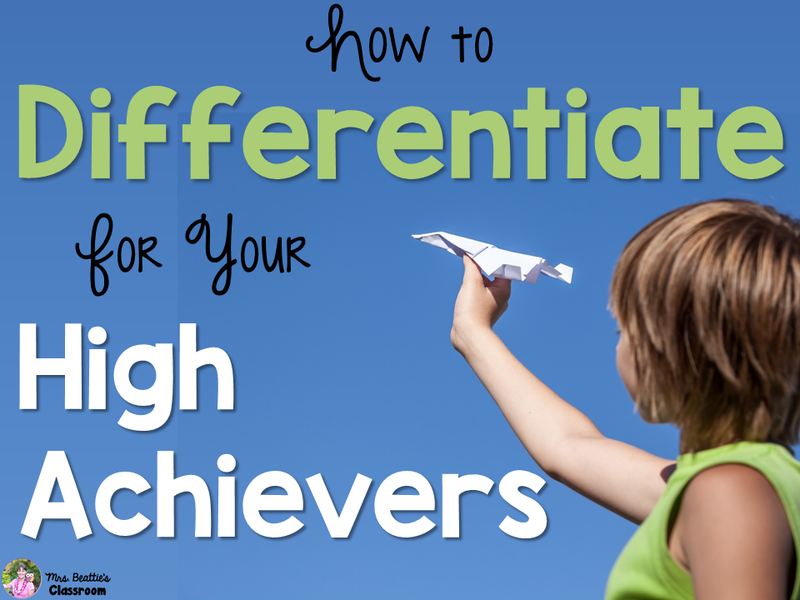 High achievers don't always make the leap to being creative thinkers without the support or teachers and families willing to encourage them to take risks. High achievers need a supportive environment where they feel safe to take risks in their learning and we have the power to provide them with this! Just like your struggling students, your high achievers need and deserve your time in a small group situation. This can be the perfect way to differentiate learning tasks and small-group meetings can give you a great deal of information about how these students are progressing. Some of my favorite time in the classroom is spent in one-on-one or small-group conferences. It is for this reason that I started using The Daily 5 in my language block and Guided Math in my mathematics block. These program structures give me the flexibility I need to reach all of the students in my class - modifying activities to suit the needs of my struggling learners and my high achievers! I hope you've found a little inspiration in this post! Please be sure to pin the image below to share with friends and colleagues, and don't hesitate to leave a comment with some of your favorite ways to differentiate learning in the classroom! Want more great tips like these to use in your classroom? Thanks for taking the time to write this article! I read so much about differentiating down, but so little the other way. You are so right that all student deserve an education appropriate to their level, not just the low and average. I'm not a teacher (yet) but in my ed classes I keep hearing that you should let high students teach, and I have to disagree based on my memories as a student. I HATED being paired with a low student and asked to teach him or her. I really resented the teachers for this. I felt that they were wasting my time; if the kid didn't understand what the teacher (who is a trained and experienced educator) said, what makes them think the kid will get it coming from an 11 year old? Here I am at school and all I want to do is learn new things, and instead I am stuck going over the material once as a class, then to reveiw, then as "teacher", all when it was too easy and boring the FIRST time through. I love your other suggestions, and I'm sure asking a student to teach will be fun for some students, but I hope y'all are sensitive to the possibility that it might not be fun for them. Thanks for visiting, Shanna Mae! When you've been in the classroom for 18 years as I have you'll have seen every ability level and learning style under the sun. My post is simply about giving stronger students opportunities. 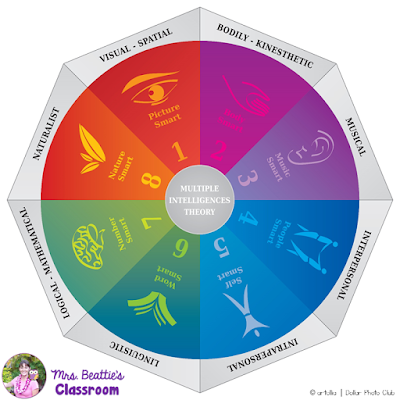 I am not suggesting that teachers have their students perform their teaching duties, but over the years I've had many students who absolutely love to help out their peers and I've also seen many students who just couldn't understand a concept when I was explaining it all of a sudden "get it" when a peer repeated in in "kid speak". Obviously, we need to be sensitive to the needs of ALL of our students and there is one one-size-fits-all approach. Great suggestions!! I absolutely love what you said about teaching a love of learning. I totally agree that some high achievers need to learn that it's okay to be creative and take risks! Thanks! Thank you for sharing these ideas! We often focus on our struggling students and don't take as much time for our stronger students. I appreciate you spotlighting them in this post. - How long do you have the students at each station for? - When I do work with one group of children, do they do any follow up work? - what happens when the children do not "complete" the activities they are working on at a station? 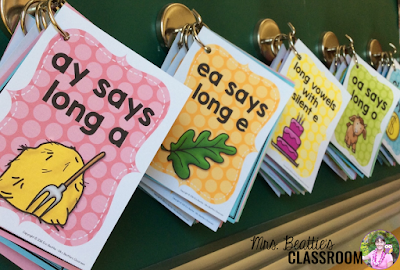 I don't mind answering your questions at all, and I can always be reached by email at questions@mrsbeattiesclassroom.com. I always work my centers based on the sort of day my students are having. They typically spend about 20 minutes at a station, but it can be shorter if they are either moving quickly or having a difficult time staying on task. When I work with my group I generally have them working on a task that I can observe in action right then. I sometimes have them work on a follow-up activity so I usually rotate my students from Teacher Time into At Work On My Own. I don't worry too much about incomplete activities. I see them as a supplement to my Teacher Time lessons - that's where the focus is for me. The stations are practice or extension opportunities. For the centers that don't have a worksheet to be completed (the hands-on activities) I keep my students accountable by having them document the activity using the SeeSaw app. I hope this helps! Thanks for stopping by! I really appreciate the reminder that even high achievers need to be looked after as closely as our strugglers. My high students love to teach the class. My philosophy is that any road that leads to the correct answer should be shared. I agree. Our strongest students deserve just as much attention and support from us as the struggling students do. Thanks for sharing this! :) I'm not actually a teacher, but a philosophy student! I'm doing a class where we apply our learning to careers, and this week we have to create a lesson plan. This has given me so many ideas for my plan, so thank you... It's really interesting seeing the other side of the fence because I've spent so long learning, that it's so interesting to see the teaching side also. I am glad to see teachers who find ways to differentiate. I do find it interesting that we scaffold for strugglers and are taught over and over about it. The concept of differentiation was started by the gifted community. I have my masters in differentiation education and many hours in Gifted education. I agree there are students who enjoy "teaching" others. Many times it is our bright kids who do this best. Our truly gifted students generally do not do this well or enjoy it. There has been research to support not having gifted students as peer teachers. High leveled thinkers normally can not explain in terms that others understand. They even struggle knowing how theY do it to explain it to a teacher. "It's just there." Again, the bright kids are great at it though. My best advice to the teachers I mentor is to pull your gifted students out and they are a group that pushes each other. Then list the others brightest to strugglers. Cut it in half. Line the two lists up and you have peer Tudors/mentors that work well together because the gaps of knowledge are not so far apart. Hope this is helpful to you and others on your differentiation journey. 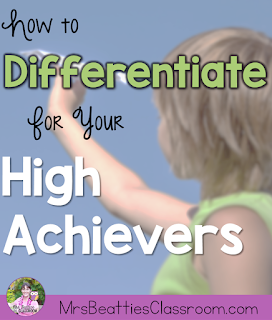 I was just having a discussion with some other teachers about how to differentiate for higher achieving students. We talk a lot about the lower end, but not enough about the higher students sometimes. I think this is a great summary of some strategies. What about the higher students who doesn't want to do 'extra' work, or the questions about why they are doing something different? Is it just a matter of establishing classroom culture? Thanks for stopping by! I don't give my high achieving students "extra work", I just expect more from them in terms of quality or level of thinking. I do think that some of this does stem from my classroom culture. I always come back to the Equality vs. Equity graphic that goes around social media, with the three people looking over the fence... in my classroom students are working on different things all the time and my expectations and goals for the students are so different that they never even question it.